Tribal hunting rights in Wyoming, an oil pipeline in Michigan, a lawsuit from Massachusetts’ Mashpee Wampanoag tribe — these are just a few of the battles concerning treaty rights from 2018 that continue to be ongoing today. 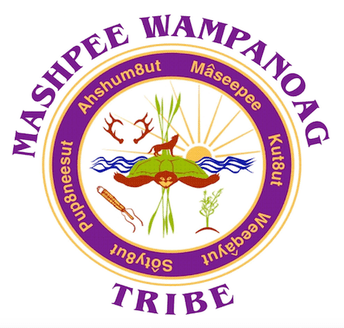 Earlier this month Democratic representatives refiled a bill to allow a federal agency to take land into trust on behalf of the Mashpee Wampanoag Tribe in Massachusetts. Last year, the Interior Department ruled that the Mashpee Wampanoag Tribe was not under federal jurisdiction during the 1934 Indian Reorganization Act of Congress, effectively denying the tribe land it sought in Taunton, Massachusetts. The ruling reversed an Obama-era decision that secured 321 acres of tribal land in Mashpee and Taunton into trust. According to the Department’s legal arguments, if the Mashpee Wampanoag are not “Indian enough” to have trust land, 128 of the 573 federally recognized tribes in the U.S. could lose their reservations as well. The Mashpee Wampanoag have occupied the same region for over 12,000 years and have faced diminishing homelands since colonization. Today, the lands represent less than one half of 1 percent of their original territories. If the lawsuit is not successful, the ruling would mark the first time American Indian land has been taken out of trust since the termination era of the 1940s-1960s when the U.S. government intentionally attempted to assimilate American Indians. The tribe had plans to build a $1 billion casino on the land in Taunton and use the land in the town of Mashpee for their government. If the suit should fail, the tribe says they will have to shutter language immersion schools, slash programs and lay off employees. The U.S. Supreme Court heard the initial arguments of Crow tribal member Clayvin Herrera, who is fighting the state of Wyoming over hunting treaty rights. In 2014, Herrera poached an elk in Wyoming’s Bighorn National Forest and was later convicted of illegal hunting. Herrera argues that the Laramie Treaty of 1868 says tribal members have the right to hunt on the land. Wyoming disagrees, arguing that those treaty rights ended when Wyoming became a state. The case could set a precedent for tribal hunting rights. A decision is expected by the end of June. 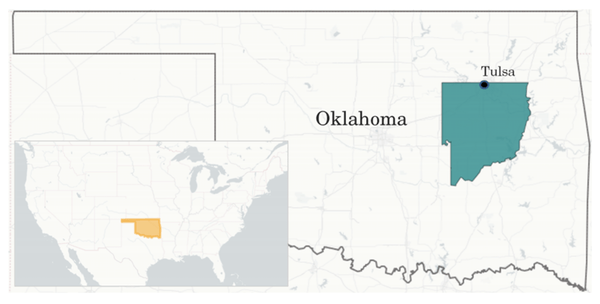 The outcome of Murphy v. Carpenter will affect the treaty territory of five tribes and nearly half the land in Oklahoma. 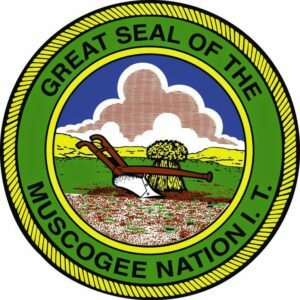 The Supreme Court must decide whether the 1866 territorial boundaries of the Muscogee (Creek) Nation constitute an “Indian reservation” today. If the Supreme Court upholds the decision and rules in favor of Creek Nation, the land could be acknowledged as Cherokee land for the first time in more than 100 years. The ruling would result in the largest restoration of tribal jurisdiction over American Indian land in U.S. history. The court is likely to resolve the case before the end of the term in June. After spending the last year pursuing a plan to tunnel an oil pipeline beneath Michigan’s Straits of Mackinac, Republican Governor Rick Snyder signed the bill into law in December. Multiple tribal leaders say this ignores the 182-year-old treaty rights of American Indians. The five tribes of the Chippewa Ottawa Resource Authority are unified in calling for the Line 5 oil pipeline to be shut down. They retained fishing rights in the area under a treaty in 1836, while Line 5 was built by the oil pipeline company Enbridge in 1953. Enbridge has a terrible track record that includes 1,244 reportable spills, leaks and releases from 1996 to 2013. They were responsible for one of the worst and most expensive oil spills in U.S. history when Line 6 ruptured near Kalamazoo in 2010, allowing almost 1 million gallons of tar and oil to leak for 17 hours. The five tribes in opposition are the Bay Mills Indian Community, Grand Traverse Band of Ottawa and Chippewa Indians, Little River Band of Ottawa Indians, Little Traverse Bay Bands of Odawa Indians and Sault Ste. Marie Tribe of Chippewa Indians. In September 2016, NICOA passed a resolution is support of shutting down Line 5 and stopping the transportation of oil under the Great Lakes. Additionally, a report from the Science Advisory Board suggests the Straits of Mackinac are among more than a dozen locations in the Great Lakes region that are vulnerable to oil spills. There is also no plan for how to recover oil if there’s a leak during winter when lakes are frozen.